I must admit my photograph isn’t all that mysterious–but neither am I. Having been around for a long, long time, I have had so many experiences, interacted with lots of fascinating people, and heard so many stories, I have a lot to draw on for the two mystery series that I write. The first one is the Tempe Crabtree series set in the Southern Sierra and starring a female resident deputy who is also a Native American. My husband and I now live in a similar place. Using the name F.M. Meredith, I write the Rocky Bluff P.D. series which is set in a fictional Southern California beach community between Ventura and Santa Barbara. For many years we lived in a beach community much like Rocky Bluff. My interest in writing about people in law enforcement and their families came about quite naturally–beside having many family members in the profession, for many years we lived in a neighborhood with many police officers and their families. I also enjoyed reading police procedurals along with many other kinds of mysteries. As I writer, I’ve paid my dues: I’ve racked up a great number of rejections, both before I was first published, and plenty along the way. I’ve attended writing conferences, mystery cons, read books on writing, and joined a critique group–one I still belong to and consider my first editor. For ten years I taught for Writers Digest School, had other writing classes in various venues including the famous Maui Writers Retreat. I’m a member of three Sisters in Crime chapters, Mystery Writers of America, and on the board of the Public Safety Writers Association. 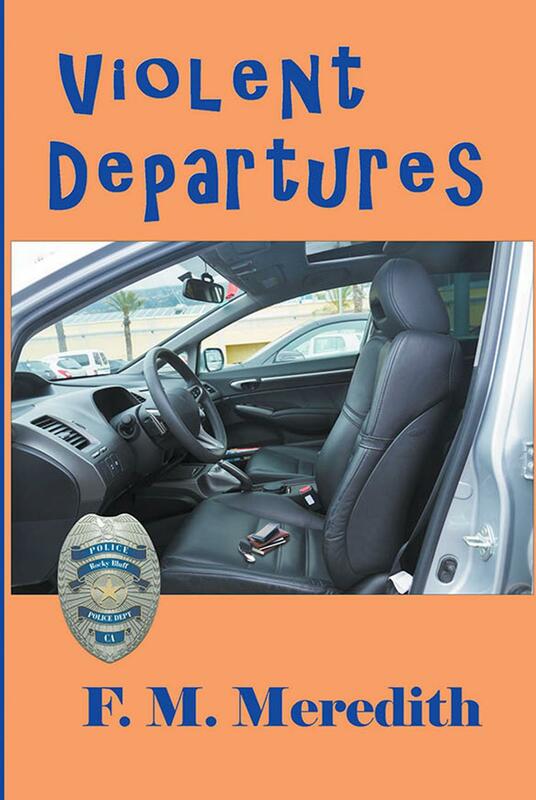 My latest RBPD mystery is Violent Departures. Looking forward to meeting some new readers and watching this blog grow. Congratulations on your new release, Marilyn. Thanks, Kathleen. I’d love to fix the typos, but I’m new to this blog and have no idea how to get back in. Woe is me. I’ve fixed the typos now, took me a while to figure out how. Nice to get to know you, Marilyn. Hi Marilyn, both your series sound like fun. Perfect reads for the summer, in fact! Looking forward to them, and to hearing more about you and your work. I’m hooked on your Rocky Bluff P.D. mystery series, Marilyn. I’m always eager to see what will happen to your characters next. Thanks, Patricia. I’m writing a new one right now–and believe me I am also anxious to see what will happen to the characters. The series are quite different, though police procedurals, but many have called both of them bordering on cozies–which in this case means not too violent and though some of the characters may use bad language, I don’t quote them. I’m late to this party, but welcome, Marilyn! Always a pleasure to be a guest on your persona blog. I’m happy to host you anytime, Sally!